Dirt track racing churns up drama in the new faith-based film Champion, releasing theatrically May 19 from Brannon Pictures, produced with support from First Baptist Church Woodstock. 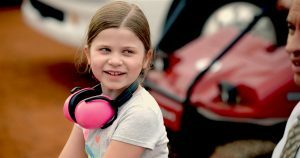 Moviegoers may recognize places and the faces of some of the actors; scenes were filmed at Dixie Speedway, Capital Race Cars, several homes in Cherokee County and a rain scene in downtown Woodstock. Delving into topics like forgiveness, fatherhood, foster parenting and the power of second chances, Champion depicts race car driver Sean Weathers’ journey following a tragic on-track accident that rips apart his family, leaving him vulnerable to the last person on earth who should help him. First Baptist Church Woodstock and Pastor Johnny Hunt supported Brannon from the beginning. Hunt, former president of the Southern Baptist Convention, has been involved with racing as a chaplain for Dixie Speedway for 25 years. This production would not have been possible without the support of local talent, Brannon said. Woodstock locals Missy Reedy and Sarah Inabnit worked in collaboration to complete the screenplay. Several key actors also call the Woodstock/Canton area home, including Collin Brown, Lindsay Sparks, Kathy Dillon, Kristi Walker, Ty Hunter, Katherine Shepler, Diane Tuttle, Phil Cunningham, Taryn Chidebelu-Eze, Richard Holden and Rachel Grubb. Some are veteran actors and others make their debut in Champion. Judd Brannon has directed and produced multiple video projects. 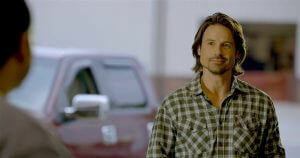 His music video For Freedom, featuring the music of Avalon, was selected to be a part of Sean Hannity’s Freedom Tour. His recent projects include working on the Kendrick Brothers feature film War Room. Brannon is the staff video producer at First Baptist Woodstock. Follow the movie’s Facebook page for more info and updates. 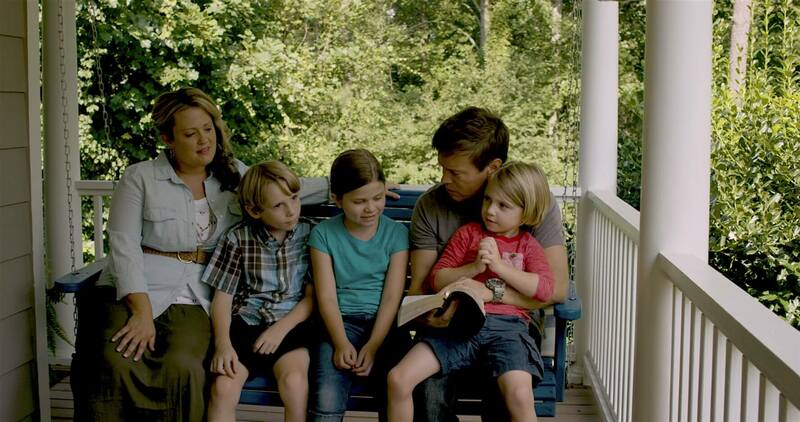 From left: Kristi Walker, Liam Peeples, Faith Renee Kennedy, Collin Alexander Brown and Maddox Robinson.